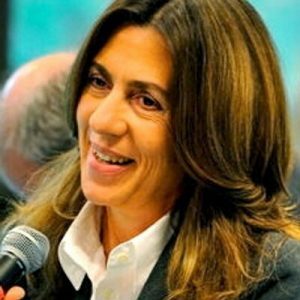 Ilaria Poggiolini is Professor of International History and ProRector for International Affairs at the University of Pavia. She is a partner of the Machiavelli Centre for Cold War Studies (CIMA), a member of the teaching staff of the Doctorate Program in History at the University of Pavia and SCR Fellow at the European Study Centre, St Antony’s College, University of Oxford. Previously she has been visiting Fulbright Scholar (USA), NATO Fellow, visiting Fellow at the Center of International Studies and the John Foster Dulles Program, Woodrow Wilson School, Princeton University (USA) and British Council Fellow at St. Antony’s College, Oxford (UK). Her early research activities and publications centered on post WWII international peace making with a focus on the cases of Italy, Japan and Vietnam and on political and diplomatic relations between Italy and the Allies in the 1940s and ‘50s. significance of British accession to the EEC, on ‘second Europe’ and Ostpolitik in the 1970s and 1980s, on Thatcher’s European and East/West policy in the 1980s and on the historical and contemporary meaning and implications of Euroscepticism.